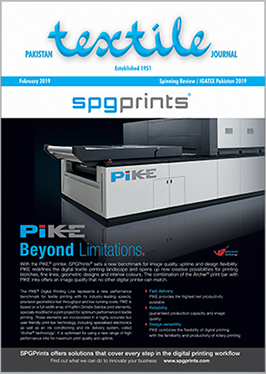 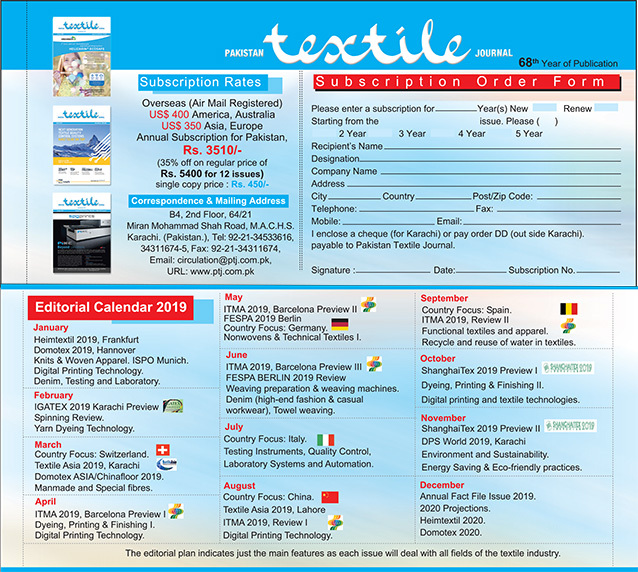 Pakistan Textile Journal is the leading monthly magazine for the textile industry of Pakistan for the last sixty eight years. 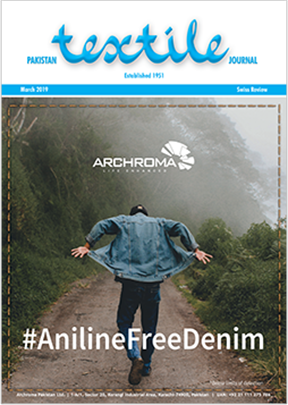 We bring to our readers practical experiences and latest technical innovations in the fields of fibres both natural and synthetic, spinning, weaving, knitting, nonwoven, embroidery, dyeing / finishing printing of fabrics, garments and knitwear. 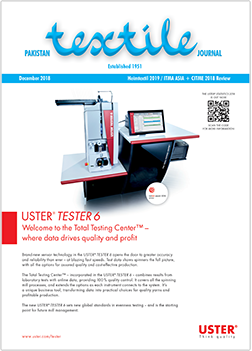 We strive to keep our readers upto date with technology, equipment, raw materials for the textile industry and pressing issues related to energy, environment and economy. 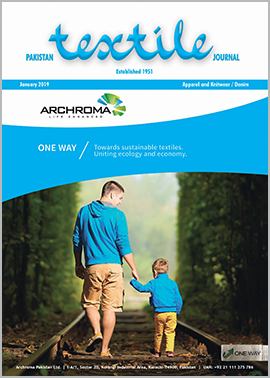 Our readers also benefit from in-depth analysis of the current issues relating to Pakistan’s textile industry by leading experts and writers.